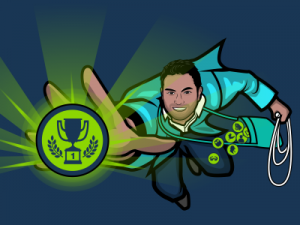 When done right, badges are powerful gamification tools that can engage your learners. Let’s find out how! It doesn’t matter how old we are, receiving a trophy, medal or badge of honour is awesome! We all love to receive rewards for our triumphs, because recognition is that added bonus that motivates us to take on the next challenge. In the gaming world, virtual rewards recognise players’ growing skills and heroic feats. When badges are awarded within the wider narrative of the game they become powerful engagement tools! They act as a simultaneous goal-setting and reward device which drives players to pursue objectives, explore the virtual world and defeat burly baddies. The prospect of badges keeps players coming back for more! You too can use badges in the same way on the Academy LMS to engage learners. Here are our top 7 tips for creating brilliant badges that engage your learners on the Academy LMS. ‘Badges’ – These are badges in their purest form! Learners receive them for completing single training objectives. ‘Achievements’ – Learners earn these badges for directly interacting with the Academy LMS, such as posting on the message board. ‘Awards’ – These are received by learners who complete an entire training curriculum. These badges can be accompanied by a printable certificate that any learner would be proud to frame on their wall! ‘Praise Badges’ – These are extra special rewards because only managers can award Praise Badges to recognise an individual’s exceptional achievements or a team that’s gone the extra mile. As well as being coveted rewards, badges act as a powerful goal-setting device on the Academy LMS. They guide your learners’ interaction with the platform and motivate their progression through training content. Learners will be eager to know what to do to earn more! Fortunately the Badge Cabinet has the answers they crave! The Badge Cabinet, in the learner’s profile area, stores all the badges they’ve achieved and are yet to posses. Those empty spaces where badges should be act as a constant reminder of what they are missing! This feeds learners’ collector spirit, spurring them on to engage with the LMS and training. Yet, beware! Remember, it’s the journey not the destination that really matters. The badge is the signpost to success, the pit-stop on the way to the top, the flag raised to celebrate triumph. Your learners’ true goal and intrinsic reward is the learning itself. When it comes to badges, everything is up to you! You can personalise every aspect of your badge design on The Academy LMS, from how they look and when they are awarded, to the name of the Badge Cabinet itself. You choose the badge type, name, image, and description. One of the most important badge design considerations is the image. You don’t need a top-notch design department. With some rudimentary image editing software and a little time, you can create something stunning that anyone would be proud to show off in their Badge Cabinet! Ensure badges have Epic Meaning by making the design reflect the learner’s goals, company brand and mission. Remember, your design should be determined by what your learners have done to achieve it! All badges are awesome but some have more value than others! To ensure your badges are meaningful and relevant make sure they reflect the difficulty or importance of the associated achievement. After all, if a learner has completed a curriculum they will expect a more valuable reward than if they had simply done one training module. To engage learners, make the reward fit the feat! An easy way to communicate the value of each badge is with Experience Points. As Admin, you decide how much XP to assign to each badge. Tie more or less XP to indicate its value. Learners can achieve badges for just about any form of positive behaviour on the LMS, including simple yet important tasks like updating their profile. As admin you decide what actions you want to promote and reward. Remember it’s not all about completing training. Ensure learners get the most from the Academy LMS by rewarding each tentative step they take to explore and use its plethora of features! Informal learning is responsible for a whopping 70% of what we know! Of that, 20% comes through sharing knowledge and learning from others. Harness the power of badges to encourage learners to use the LMS’s social features and promote that all-important social learning. For example, if someone posts on the message board they earn a badge, if a learner leaves a training review give them a badge! And don’t let learners forget about the world outside their window! Badges are too brilliant, too beautiful, too powerful to stay hidden away within the Academy LMS! When your learners are recognised for their efforts they’ll want to tell the whole world. They can share their badges directly from The Academy LMS on external social media, such as LinkedIn. Last but not least – Everyone loves a ranking system because we all want to know how we stack up against the competition. Leaderboards on the Academy LMS are an easy way to tap into your learners’ competitive spirit. Learners with the most badges will top the leaderboard. 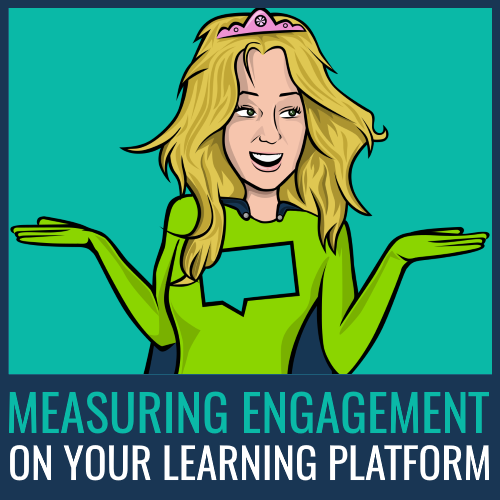 Of course, top dog on the leaderboard comes with added kudos – reaching this position means the learner has engaged most with the platform, learned a lot and is probably awash in praise. Let the race to the top commence! 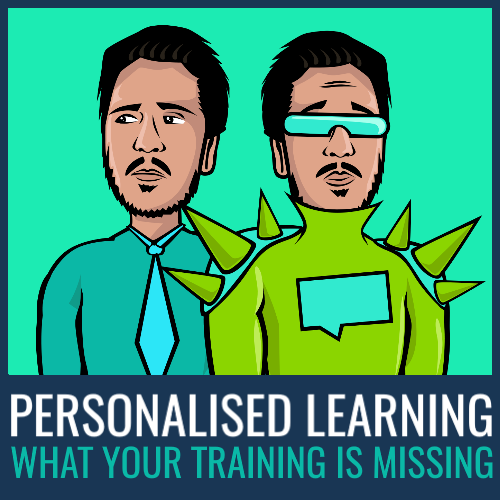 There you have it – How to create brilliant badges to engage your learners on The Academy LMS. Now, we’re off to polish our badge collection! If you’re eager to learn more about how to use badges and other gamification features on the LMS click the button below to download our Gamification White Paper. 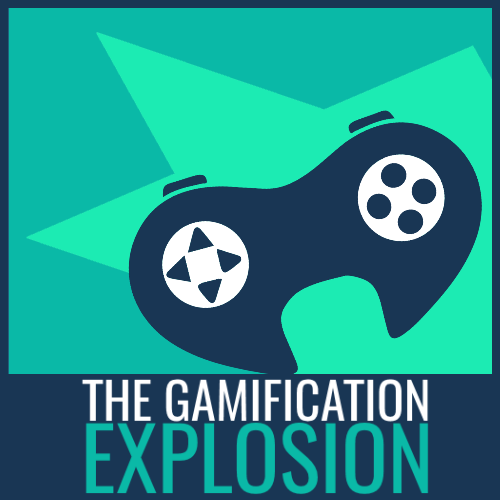 Gamification: Is Competition Engaging or Demotivating?